The world of toys is an exciting one, not only for kids but also for adults who love to take a break from the real world. 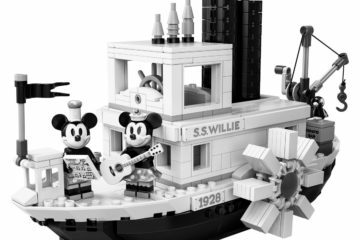 Every year, toy manufacturers come up with some amazing and innovative ideas where they bring the best of fun, learning and technology together to deliver an awesome product. Considered as the Oscar award for toys, the big Toy Fair at NY 2019 also known as NYTF is about to take place this year where every brand will showcase what they have to offer. Obviously, we are super excited about the event where nearly 123 toys will be reviewed under different categories and awarded for their excellence. 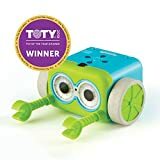 The Innovative Toy of the Year 2019 is a fascinating award which encourages designers and companies to come up with more such ideas. Let’s take a look at the six finalists that have made their way to the final list and let’s explore them all to see what makes them so good in the first place. Botley™ the Coding Robot Activity Set The purpose of this toy is easy to understand as its right there in the name! The entire world is moving toward complex coding and people with coding skills will definitely make a great career out of this in the next twenty years or more. Botley helps young children who are five years and above understand how coding works. While some parents may feel that it is too early to start, kids can definitely do a lot when they understand the basics early in childhood. The best part about this toy is that there are no displays that could affect your child’s vision. We are incredibly impressed by how the manufacturer imparts coding knowledge without using any display of sort but just with mechanical parts. With Botley, young kids can make use of the coding cards, double-sided tiles and obstacles to building pieces. They are free to get creative and program the robot to make it avoid obstacles when it moves, detect objects every time something comes in the path and go around it besides teaching the robot how to follow the black lines to reach a specific point. It can also be programmed to do the same command in a loop. Everything is done on coding boards and there is no need to use a smartphone or tablet in order to learn to code or operate the robot. Harry Potter™ Wizard Training Wand Kids love the wizarding world of Harry Potter because it is always filled with school going children who fight against insanely difficult obstacles and enemies, only to taste success. If you have young kids at home above 8, this is definitely a must-have toy that they will love for sure. The majority of children spend hours playing Harry Potter games on their gaming consoles but when you convince them that using wands in real life is possible, they are sure to give it a shot. We loved the fact that the designers have made use of lights, sounds and motion sensors which encourage children to cast magic spells by specifically following the instructions. They may have already got many of the popular spells from the Harry Potter universe like ExpectoPatronum and Accio but doing it in real life is a whole lot of fun. And, the Wizard Training wand can actually be paired with multiple wands so that a group of young kids can play together. Pair it up with some wizarding robes and it could be a realistic fantasy world brought to life. The wand allows kids to cast 11 different spells and you can also choose between 5 modes of gameplay. 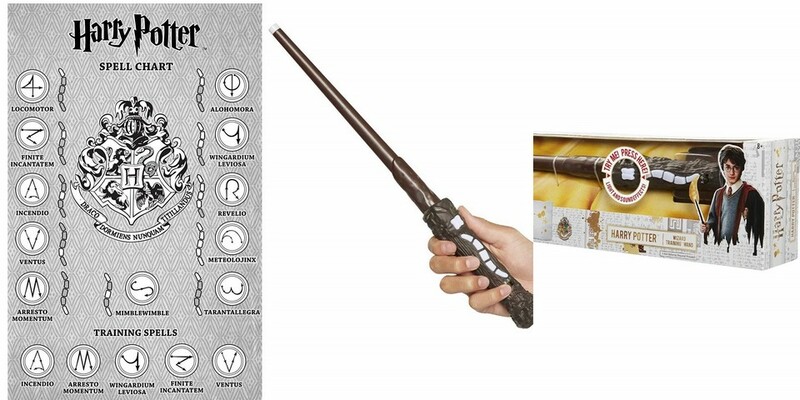 The wand makes a sound, the lights change accordingly as you would have seen in the movies and there’s a dedicated spell guide to learn everything you need to learn about the game. Some of the game modes are designed for multiplayer while some can be handled by kids on their own. 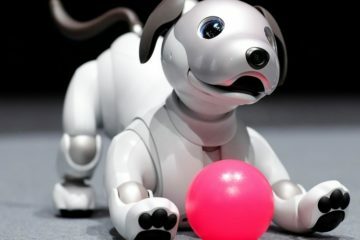 It is powered using 3 AAA batteries and looks like the future of toys that helped it make it to the Innovative Toy of the Year list. K’NEX Thrill Rides Bionic Blast™ Roller Coaster Building Set Why wouldn’t kids love to build their own roller coaster and operate it? It can be a very interesting and challenging task which they can enjoy immensely while building and have the satisfaction that they have successfully pulled it off. The K’Nex roller coaster building set is an interesting toy that will encourage kids to play with over 809 parts which when properly set up will lead to a full-blown roller-coaster ride. Kids will be able to create tracks of different shapes and sizes by making use of the guide provided but they may need adult help at times. The toy made its way to the innovation award because the designers have integrated the plastic parts with a virtual reality app. You can build the coaster, let the coast car run and be able to view the entire thing from a first-person perspective. The concept is similar to the videogame Roller Coaster Tycoon but being able to view the same from a real-world toy is very innovative. The bundle includes a cardboard viewer so that you don’t have to own a virtual reality headset. Just use the smartphone app, place your phone within the cardboard and you will be able to view it. 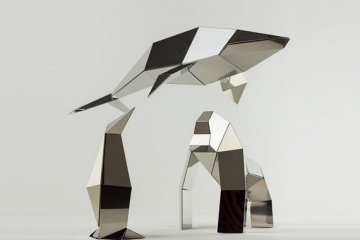 The designers of the toy also assure that they will be able to replace any broken or missing parts if required. 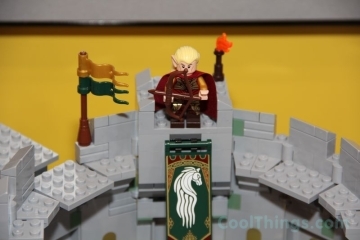 Considering how big the roller coaster set is, it wouldn’t be surprising if you easily lose a part while building the massive set which has over 800 pieces to be connected to achieve the final result. 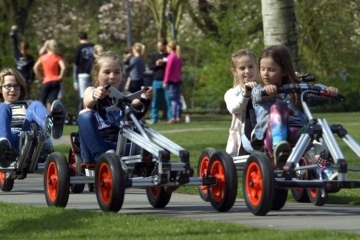 The Legend Kit is the ultimate dream come true for young kids because it is huge and allows kids to build the best vehicle that they like to drive on their own. Most children would love to drive, especially if they have an interest in the automobile world. As a parent, when you help assist your child in building these vehicles, you can explore their desire while allowing them to understand how automobile parts work. If you are planning to buy this one, you should know the fact that it will cost a whopping $1,000 but the investment is worth it. You can help your kid build their dream vehicle and it also comes with a motor system that you can use to drive it. The system includes ePulse System Electric motor and there are over hundreds of parts using which you can build up to 32 rides. The manufacturer also sells the parts individually and offers additional customization options. It will cost more but can help build a strong hobby for young kids. The newest additions have even introduced LED lights that can be mounted onto the underside of the vehicle so that they illuminate the path wherever they go. You can help the kids choose a different tire so that they can even go outdoors or on snowy terrain if the particular ride has been built in such a way. The manufacturer calls it a family event and it truly is as it engages everyone into building the ultimate vehicle. 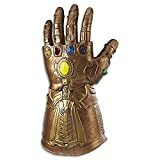 Marvel Legend Series Infinity Gauntlet Articulated Electronic Fist Avengers Infinity War was one of the most successful movies from the Marvel Universe and it was no wonder Hasbro jumped into it, to make a real-life version of the Infinity Gauntlet. It was won by Thanos, the menacing villain (and misunderstood according to some) in the movie and older kids will be able to recreate the scene by making use of the lights, sounds and other features found in this toy. 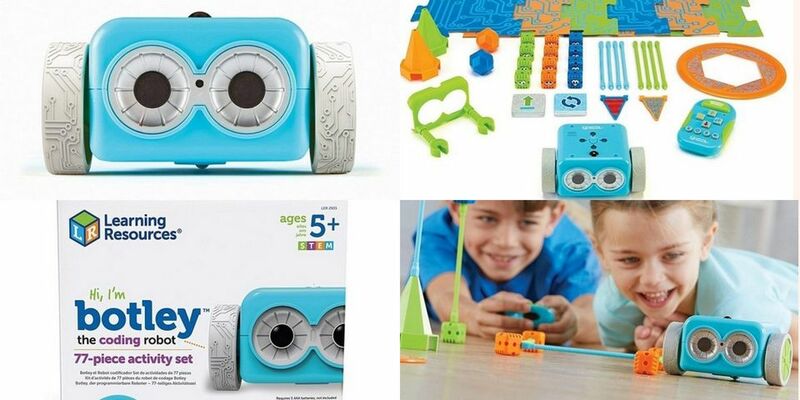 While It may not win the most innovative toy of the year award because the features are limited and there isn’t a learning aspect into using it, but it is definitely interesting and provides ways to play games. The size of the product is big enough that it can even fit the hand of a fully grown adult but will be much smaller when a younger kid wears it. 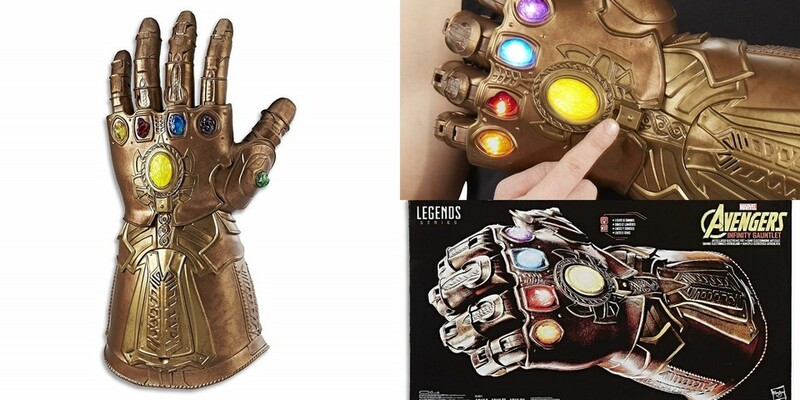 Some of the exclusive features that Hasbro has incorporated into the toy includes sounds inspired by the movie, articulated fingers which also has a fist lock mode and authentic design with all infinity stones on top of it. The colors are accurate so that they resemble how Thanos used it in the movie and the lights on the stone pulsate so as to depict them to be as real as possible even though you won’t be able to snap the world clean when you wear this one. It’s definitely a great job in terms of attention to detail and can be a collector’s edition for adults while grown-up kids can use it in their role playing games. Sensors Alive: Bring Physics to Life! This is an inventive and innovative product which teaches kids the technology used in sensors in the majority of the mobile devices and products they see in daily life. 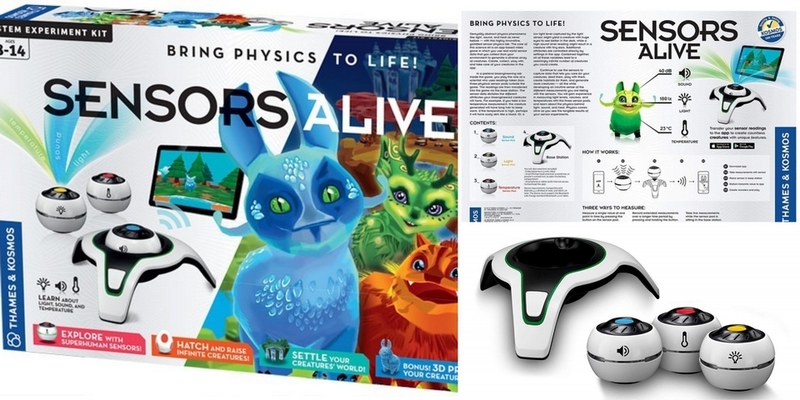 A group of kids can actually play using this expensive toy which costs nearly $150 and teaches how to tame three different creatures in a science lab. There are three sensor pods which also produce heat, light and sound. The toy offers lots of different things to play with and can be used as a way to enter the world of science. The Innovative Toy of the Year 2019 award will be granted only to the best and it looks like the NY Toy Fair for this year will face heated competition from some of these best toys. There is something for everyone combined with great learning and fun factor to keep kids of all age groups entertained. 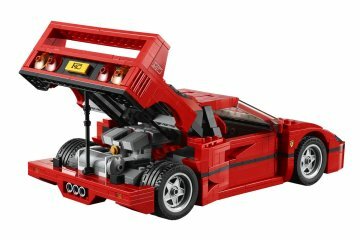 LEGO Just Revealed One Sweet Looking Ferrari F40 Set – Pics and Video! I don’t think kids can ever be too young to learn to code. Start with the basics of coding and then move on. Learning to code is the same as learning a new language, it is easier when you are younger. Did you and your spouse discuss whether it was too early to start teaching your child English? Heck no, you were trying to get your baby to say mommy and daddy from they came out of the womb. Now teaching a senior citizen coding, that is much more difficult. We need more toys like the Botley Coding Robot, which is affordable a great basic building block to get kids interested in programming. As far as the Harry Potter wand, I am just amazed at how popular the Harry Potter books are. The K’NEX Thrill Rides Bionic Blast is a much better alternative to sitting in front of your computer playing RollerCoaster Tycoon. I can see some kids getting really frustrated trying to build a roller coaster that works, but if your child enjoys problem solving and challenges then this is a great toy. The Legend Kit is interesting but I am not going to fork out $1,000 for it. I may have enjoyed playing with the Marvel Articulated Fist when I was a child, but have no interest in superheroes or Marvel. I do know that there are a lot of Marvel collectors who are very passionate about it, so I suspect the Marvel Fist will sell more for the adults than as a toy for kids to play with. The Sensors Alive is over $100, but I think it makes a better investment than the Marvel Fist. With all the automation of job coming, there will always be jobs for those who program the robots that take over for humans. Coding is a very wise choice for a career. Learning to program is like learning the alphabet. It is a vital skill. While most generations do not need to learn to code, the basics of it at least, are essential for the young kids in today’s World. The future is going to be all tech. Even traditional non-computer products are increasingly becoming “smart” devices. It is becoming common to see smart toilets, smart fridges, and smart everything else. What makes these products “smart” is the people who program them. Even if a child wants to enter a career such as a policeman or a nurse, a basic understanding of codding will be essential in the future. Lack of school funding is hurting elementary aged programs that begin teaching coding to children. If you want your child to have a bright future, learning to code can only help them to out-achieve their classmates when they finally grow up and get out in the workforce for the first time. A lot of young adults develop an interest in learning to code. They may try to learn with online classes for Lynda or signup for an intensive coding academy. Either way, many people quit before developing the basic concepts. Sometimes with coding, the simplest thing can cause people to think they are dumb and not cut out for coding. In reality, most basic coding can be done by anyone. Learning to code is not too hard, the hard part is understanding the concepts behind the coding. The Botley Coding Robot WILL help youngsters to understand why certain things work with the coding. Then if these youngsters grow up and want to pursue a career in it it will be much easier to learn more advanced techniques. As an example, If I was to go to school to learn HVAC, I would be totally lost. My Uncle, who also is untrained in HVAC, would have a much easier time if he was to attend an HVAC vo-tech college. The reason is that he already understands the basics of how heating and cooling work, the basics of electricity etc. He has been fixing his own stuff as much as possible since he was a young teen. The Botley coding robot will help prep kids to have a better experience if they pursue programming in the future. I’m an adult, but that roller coaster building kit looks like a lot of fun. My wife likes to do jigsaw puzzles, but I get bored easily with it. The roller coaster builder kit would be a challenge for both of us and she could still get her “puzzle fix.” Unlike a jigsaw puzzle, the roller coaster kit can be built multiple different ways too. 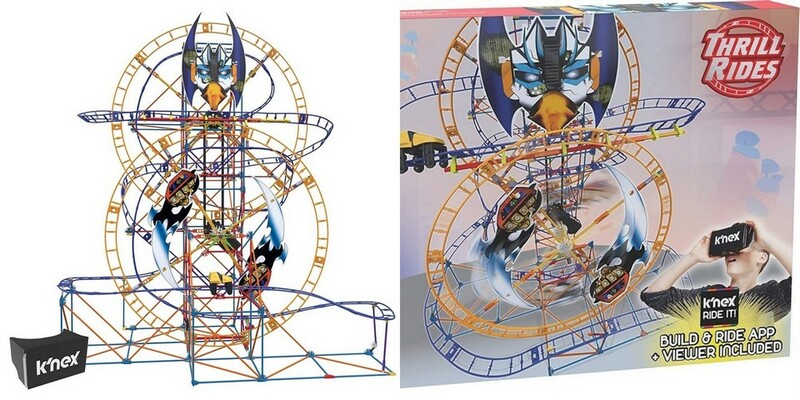 The rollercoaster building kit would make a much better alternative to regular old jigsaw puzzles. The 3D puzzles are enjoyable, but again, once you put it together once then it is ready for the garbage or to give to someone else to do since the results will be the same. The rollercoaster builder allows you to use your imagination and ingenuity to try and complete a rollercoaster build that is viable. The virtual reality view of riding a roller coaster that you actually built a scale model of is too cool! Virtual reality roller coaster riding on a coaster you built that is not a computer! Can you imagine going back in time to the 1950s and sharing this with them? I like roller coasters, but I despise theme parks because they are so congested. Yeah, I really want to spend $100 on an admission ticket and then stand in line for 2 hours just for a 3-4 minute ride. Not to mention the extravagant costs of the food and drinks there. A VR roller coaster is not a true replacement for a roller coaster, but it is much more enjoyable since there are never any lines! Disney is the worst theme park as far as crowding goes. During peak times it is seemingly impossible to get anywhere the park is so crowded. The price of food at Disneyland is outrageous, but as long as people keep paying the high prices nothing will change. Disneyland is changing into an upper-middle-class destination. You can’t be poor and afford to go, even if you live in Anaheim next door to them. You can just buy some cheap cardboard 3D goggles on Amazon for less than $20 and use it with your phone to see a virtual reality ride in a roller coaster. Youtube has a lot of VR content if you have the goggles. Granted, you don’t get the opportunity to build the coaster, but I personally think riding the rollercoasters in VR is much more fun than trying to build a roller coaster model. The Harry Potter Wizard Training Wand is a great toy. There have been a lot of Harry Potter wands sold, but this one at least is semi-smart. There is no practical application to this except to have fun, but it might inspire your youngster into being happier, and for that this wand is priceless…as long as the batteries don’t die out too quickly. 3 AAA batteries and I see m daughter using up a lot of them over a short period of time. Does it automatically turn off when not being used to save battery life? By encouraging the wand to be paired up and play games with other wands they will sell more. If one kid has one then the next kid will want one. Once they are playing with it together then the other children will run home and ask their parents to buy one for them too. It could have been nice if kids could also make their own custom spells, but that would have added to the cost. Why didn’t they make wands for the other characters? All of these educational toys such as learning to program and you guys are all hyped over a Harry Potter wand? An old-fashioned hula-hoop would be more entertaining than that. I know kids might like playing with it, at least for a short while, but something like the Botley coding Robot will allow them to develop essential life skills that are practical. Someone who can code can always find a job. If you are an adult and the only skill you have to fall back on is a Harry Potter wand, well then you are screwed. The rollercoaster builder is both a toy and educational. Engineering is a well-regarded career choice and this simple toy may interest your child enough that they go on to build real roller coasters or at least bridges. When you are buying toys, they should be entertaining and educational. I’m sure they will make the wands for the other characters if this one takes off in popularity, but the Harry Potter character is the most popular of all of them so it makes sense to just focus on the most popular. Harry Potter and the Cursed Child play will have its debut in San Francisco this October. I really want to see it, but Australia was out of the question, but now that it’s coming to San Francisco I want to try and figure out how to make a trip to see it. I couldn’t even make it when Harry Potter was playing on Broadway. Hopefully, smaller theater groups will start showing it too. I would love to have my small local theater group to put on the Cursed Child Play. I am not a huge Harry Potter fan, but I love plays, and this one looks like it would be amazing to see. 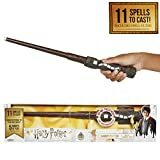 Click on the link for the Harry Potter wand and some of the reviews show that the electronics is breaking on it. I’d still order one, but ONLY from Amazon since I can return it and get a refund if it does break. I’ve seen Harry Potter wands with no electronics or lights selling for more than this one, so it makes sense to buy this one. Even if it breaks, it’d still keep the kids occupied. It’s currently $20 cheaper on Amazon than Walmart. Amazon is consistently lower than Amazon for things I buy or am interested in buying, How does Walmart stay competitive with online sales? It seems like Walmart could crush Amazon in pricing if they really wanted to. I shop at Walmart and Amazon. I will always price check and use Honey on Amazon to ensure their cheapest price. I then buy wherever it is cheaper. I rarely shop inside a Walmart, I just hate the atmosphere of waiting in line constantly. Amazon is much more user-friendly when buying than it is for Walmart online. The benefit to Walmart is I don’t have to pay for a Prime membership. Prime membership though is well worth it to our family between the music streaming and free movies. I’d remain a Prime member even if it were just for the music streaming and movie streaming. Walmart online and Amazon will continue to grow. I used to shop a lot at MooseJaw, and technically that is now Walmart since they bought it, so Walmart is expanding into higher-end products too. I’m a bit confused on the roller coaster kit. On the Amazon sales page, it says that it can “build 2 incredible models.” Does that mean the instructions are just for 2 roller coaster models and the kit is only capable of building 2, or can I design my own rollercoaster too? If I can design my own and not use an included plan, will it still work with the virtual reality viewer? I think in theory you can definitely build your own model of rollercoaster without following one of their pre-built plans, but in reality, you probably won’t be. The reason is that the K’Nex roller coaster build kit comes with a lot of parts. It will likely take you 10 hours or so just to build your first coaster model when you are following their plans, so building your own will include a lot of trial and error. I would suggest you build both of the included plans first, so you get an idea of how the kit works. At that point, you can then start trying to design your own roller coaster. Your own coaster design may never work properly for you, but if you like a good challenge and like to problem solve, it could be a great outlet for any adult.